The Neptune Islands consist of 4 small Islands, which are located approximately 15-20 nautical miles offshore, South of the Eyre Peninsula. The Islands are 35 and 40 Nautical Miles from Port Lincoln, a travel time of approximately 2.5- 3 hours. The Islands are North Neptune and South Neptune Islands. 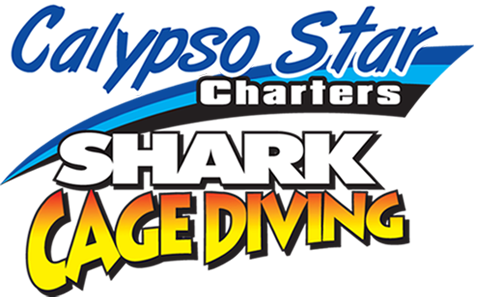 The Islands provide a safe and comfortable anchorage and a spectacular backdrop for your Shark Cage Diving adventure. The Neptune Islands Marine Park are named in honour of Ron and Valerie Taylor who pioneered shark cage diving in South Australia alongside Rodney Fox in the 1960s. Marine Parks in South Australia are managed by the Department of Environment, Water and Natural Resources with the Islands and the surrounding 2 Nautical Miles of sea being protected areas. They are located mid way between the Eyre Peninsula and Kangaroo Island in the Southern Ocean. These Islands are the only Islands in Australia where Great White Shark Cage Diving is permitted to take place. The Park is home to a huge colony of over 45,000 New Zealand Fur Seals. This pinniped colony is the primary reason Great White Sharks visit the Neptune Islands on their travels around the coast of Australia and beyond. North Neptune Islands are a Sanctuary Zone and as such no fishing can take place. The island consists of 2 Islands with a navigable gap between the Islands to the north. Approximately two thirds of the Seal colony resides on North Neptune. Each year in late November approximately 3500 seal pups are born with the majority of the colony existing in the main bay of the Islands. South Neptune Island also consists of two smaller Islands with a gap to the west. The Fur Seal colony produces approximately 1300 pups each year. This Island houses an automatic weather station supplying data to the Bureau of Meteorology. South Neptune Island is often the coldest place in South Australia during summer. The original lighthouse keepers’ residence and several smaller buildings are still in place although it has been uninhabited since the mid 1990s. On occasion during times of low shark sightings we venture to South Neptune and can anchor within the bay. The island gives most favourable shelter from North West, West and Southerly winds. Cage Dive operators most commonly use North Neptune Island as the large population of seals couple with the favourable anchorages make for the most desirable dive location and the best chance at shark encounters. The Island holds three main anchorages. Anchorage 1 is our winter anchorage. The anchorage provides protection from North through West to South West winds. Water depth is approximately 12-18 metres with a sandy bottom. The shallow waters provide the perfect opportunity to view Stingrays and Groper cruising along the bottom. Anchorage 2 is a perfect location for North-North East wind directions. This wind direction is not very common therefore this anchorage isn’t used as often. Water depth here is approximately 25-30 metres. Anchorage 3 is our main summer anchorage and provides great protection from South-South East winds. The water is approximately 25-35 metres. All anchorage sites provide an equal chance of shark sightings and the weather usually dictates that only 1 site can be used on any one day. Occasionally we get that perfect day where the wind is light and the sea is calm and we can anchor in any location around the island.